Every now and then, I really enjoy a nice bowl of pumpkin soup. Especially in cold weather. Why? Pumpkins are in season during the winter months and they are very healthy for us. They are known to be loaded with quality anti-oxidants like beta carotene and vitamin C to boost our immune system. They are also packed with fiber and other nutritious compounds while low in calories. In my Creamy Pumpkin Corn Soup recipe below, I use a Japanese pumpkin called Kabocha, corn, soy milk, some cashews, and a tiny bit of black pepper to create a delicious flavor. 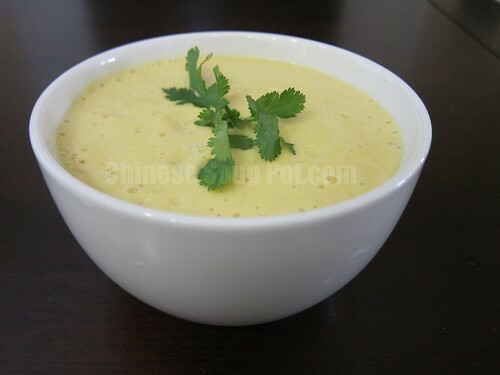 Despite the word “creamy” in the soup name, no butter is used at all. The only fats you get in this recipe are the good ones from cashews. Combined with the natural sweetness from the corn and pumpkin, you just need a tiny pinch of salt and pepper as seasoning. This soup is extremely low in sodium, high in fiber, and tastes wonderful. It is also very easy to make. From start to finish, you won’t need more than 30 minutes. But you will need a blender to make this soup. Peel and remove seeds from pumpkin. Dice pumpkin into 2″ x 2″ pieces. Boil water in a medium pot. Add pumpkin pieces and cook with the lid on until mushy (about 15 minutes). Add small amounts of water as needed if the pot boils dry. 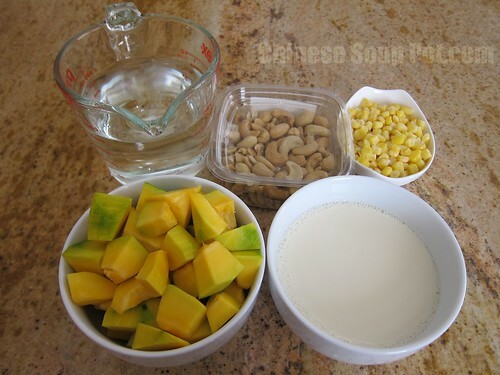 While the pumpkin is cooking, blend corn kernels, cashew nuts, and soy milk in a blender until smooth. Leave mixture in the blender and set aside. When pumpkin is cooked, pour all contents from the pot into the blended mixture. Add the ground pepper and blend until smooth. Sprinkle a tiny pinch of salt to taste as desired (optional).